Autumn doesn’t officially begin until this Friday, Sept. 22, but Iowa’s fall colors are already starting to show. Typically, the best fall colors are in northeast Iowa, but there are some good areas in central Iowa too, says Goerndt. Leaves will change across northern Iowa between the last week of September and the second week of October. Central Iowa will see leaves changing from the first to third weeks of October. Southern Iowa will see leaves change from the second week to the end of October. What changes where is subject to weather. How vivid and how long leaves remain is also determined by weather, and the leaf-watching season can be cut short by strong wind events. 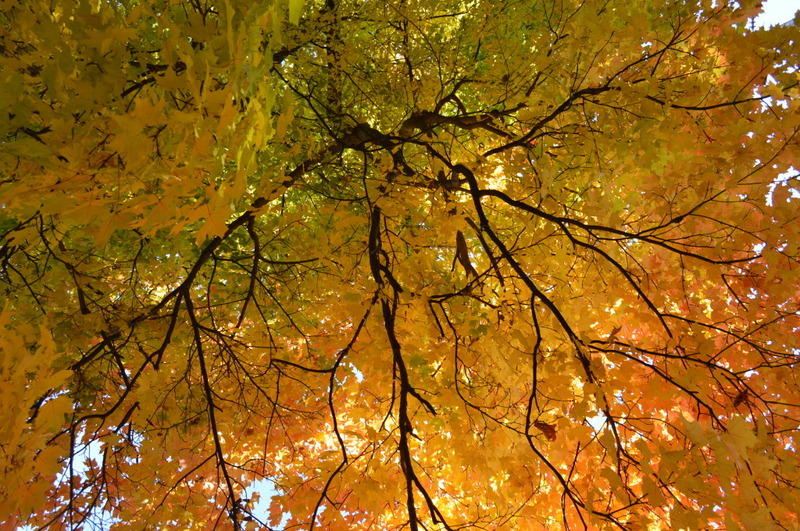 As days get shorter, trees release a chemical called phytochrome. This chemical slows chlorophyll production and allows the tree go dormant. The loss of chlorophyll (which is green) allows the other colors of the leaves to show. Leaf pigment is also influenced by the amount and acidity of sap in the trees. More acidic sap gives trees more reds and brighter colors. Less acidic saps gives trees duller and more yellow colors. The DNR provides a weekly fall color report each Monday afternoon. Updates are available by calling the DNR fall color hotline at 515-233-4110 and online at www.iowadnr.gov/fallcolor or, have the report sent directly to your email by subscribing to the Iowa Fall Colors weekly report at the same webpage.